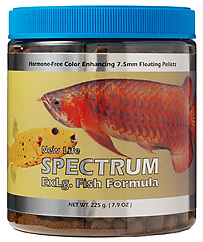 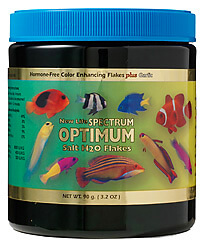 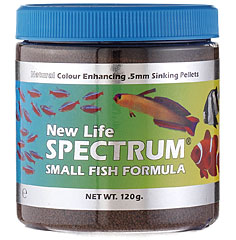 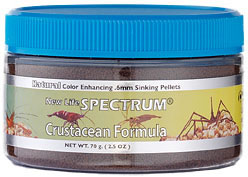 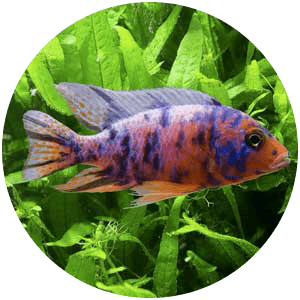 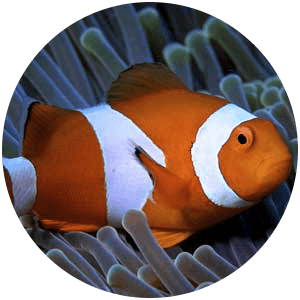 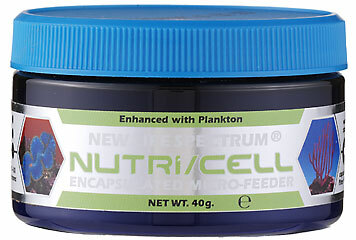 A balanced daily diet sized for all smaller fish such as damsels and clownfish in our readily taken micro-granule. 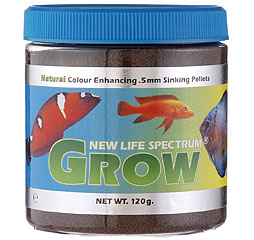 Also suitable for shrimps. 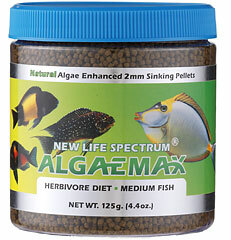 A general, balanced daily diet for omnivore, carnivore and herbivore, marine and freshwater fish. 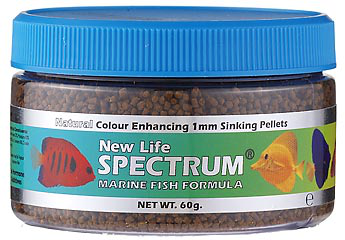 These slow-sinking 3mm pellets provide a balanced daily diet to suit all larger fish such as marine angels. 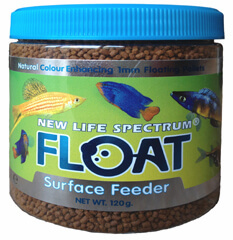 An excellent food for fry and grazing fish and crustaceans, providing a long-lasting food supply, and ideal for nocturnal feeders. 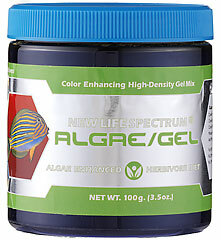 Stable for over 24hr. 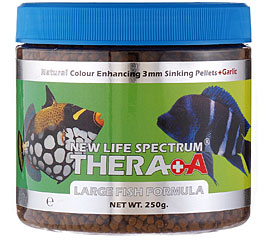 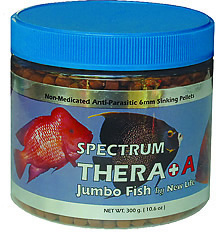 ‘Thera A’ is a balanced diet packed with garlic (which contains allicin compounds) and especially suited to feeding during periods of stress such as: quarantine of new fish; during disease recovery; and before and after netting and movement. 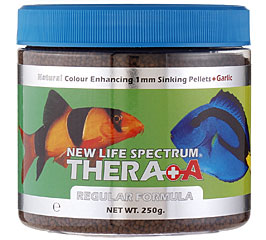 Garlic helps to optimise the immune system and protect against parasites. 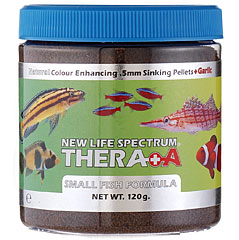 This all-natural food is particularly useful for fish in marine aquaria where chemical treatments might raise the risk of side-effects. 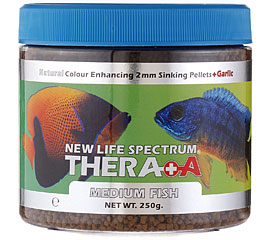 ‘Thera A’ is not a medication, and disease treatments should continue to be used as appropriate. 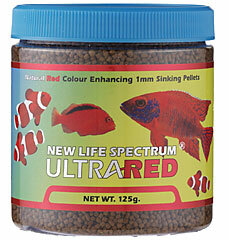 Available in our popular 1mm micro-granule, as well as 0.5mm micro-granules and larger pellets. 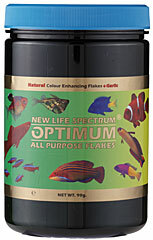 Garlic-enriched, high-protein flakes provide an all-round balanced diet for small marine fish (Larger fish should be fed on our pellet foods for best results). 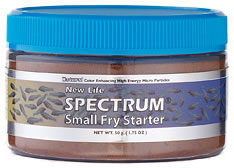 An appetite enticing diet enriched with mussel and ideal for fish and crustaceans normally shy of eating dried foods. 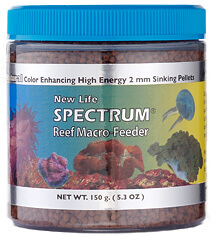 A high protein (50%) diet in a 2mm sinking pellet formulated for targeted feeding of invertebrates. 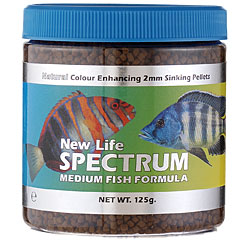 New Life Spectrum foods simply use better ingredients, like krill and herring rather than just fishmeals, to ensure that your marine fish get all the nutrients they need for growth and vitality. 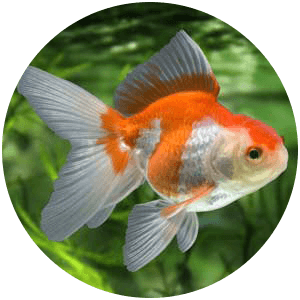 High quality raw materials also make the food extremely palatable to a wide range of fish that might previously have only eaten frozen diets. 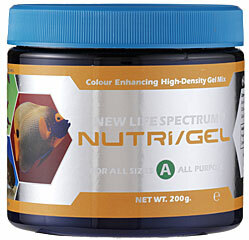 Four natural colour-enhancers including algae-meal and spirulina, ensure vibrant colouration, and quality fish oils and garlic optimise fish health and disease resistance. 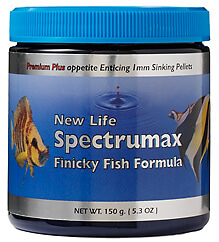 Try it, and see the difference in your fish. 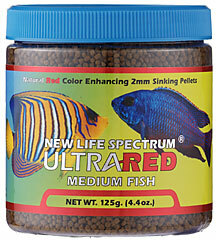 Tangs seen before and after exclusive feeding on New Life Spectrum fish food. 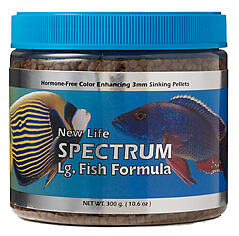 The wide variety of fish in this tank have thrived for over eight years on an exclusive diet of New Life Spectrum foods. 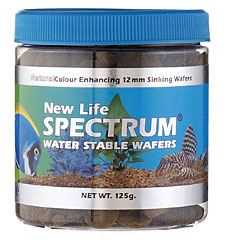 Note the vibrant colours and robust health, with no signs of lateral line disease or similar ailments linked to lesser quality diets. 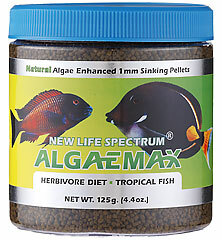 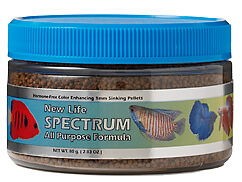 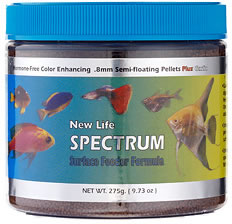 See more fish relishing New Life Spectrum Foods in our video.